The water that tumbles out of the Mississippi River into the salty Gulf of Mexico has traveled thousands of miles. From its source in Minnesota, the river winds through 10 states on its journey to the ocean, collecting runoff from the Rocky Mountains, the Appalachian Mountains, and everywhere in between. The river flows through the fields of the Corn Belt, gathering fertilizer, and through cities, where sewage leaches into its currents. MURKY WATERS. 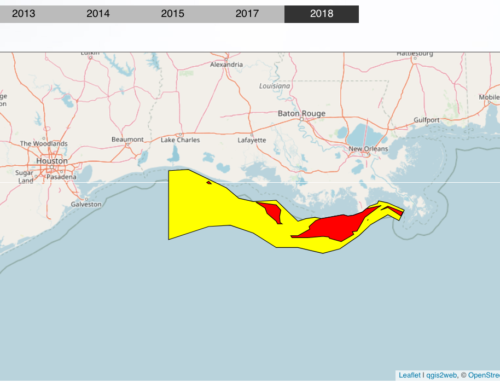 The latest map of the dead zone, created in summer 2007, shows the span of lifeless waters off the coast of Louisiana. Red and yellow highlight areas where oxygen levels are too low for fish and shrimp to survive. 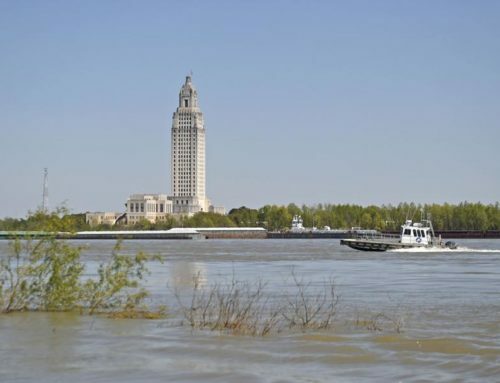 By the time the Mississippi empties into the Gulf, along the shores of Louisiana, it carries more than just water. Nutrients from both agricultural and urban runoff convert the river’s outflow into a rich broth. Every summer in the Gulf, this enriched water encourages algae to grow in massive quantities, using up the oxygen that fish and other marine species need to survive. The result of this process: an area the size of Massachusetts that supports almost no life beyond algae and bacteria. This 7,900-square-mile seasonal dead zone has been around since the 1970s, when scientists first began taking notice of the fish-depleted area. Now the Gulf of Mexico dead zone is the largest such zone in the United States and one of the largest in the world. In the summer of 2007, the dead zone covered the third-largest area since scientists started measuring it in the 1980s. But the problem was largely ignored until the ’90s when 17 environmental groups threatened to sue the U.S. Environmental Protection Agency for not taking action on the problem. In response, the National Science and Technology Council published an assessment of the dead zone in 2000. The report outlined the problem and the steps lawmakers should take to reduce the size of the area. But the draft of a new action plan, released by the council in November, suggests that little progress has actually been made in the past 7 years. Now the years of inaction are exacting a toll, scientists say. New research hints that a nutrient that had been largely ignored in the dead zone may, in fact, be driving the problem past the point of no return. What’s more, much of the runoff that causes the dead zone comes from cornfields. And an increasing demand for corn, used to make ethanol, could mean more runoff, and a worsening of the habitat destruction in the Gulf. Don Boesch, now president of the University of Maryland Center for Environmental Science in Cambridge, was among the first scientists to take notice of the dead zone. After hearing anecdotal accounts of poor fishing in once-thriving sections of the Gulf, he decided to map these areas in the late 1970s. "Contrary to what was thought at the time—that this dead zone area would be very patchy, would come and go—we found it was massive in size and pretty persistent over most of the summer," he says. This means that every summer, numerous species’ habitats disappear. It’s been hard to quantify the effect on commercial fishing, though, says David Whitall of the National Oceanic and Atmospheric Administration in Silver Spring, Md. 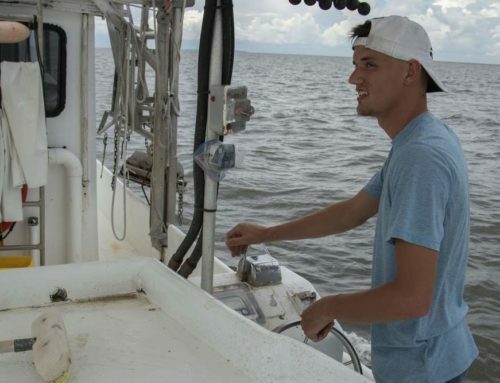 Whitall recently studied the impact of the dead zone on brown shrimp, the primary catch in the Gulf. In the April 2007 Marine Pollution Bulletin, he and his colleagues showed that shrimpers catch fewer brown shrimp during years when the dead zone is largest. "It’s not so much a problem of shrimp dying as of shrimp moving" out of once-productive areas, he says. But any decline in shrimp numbers can’t be pinned entirely on the dead zone, Whitall says, because there are so many factors influencing marine populations. Overfishing and climate changes affect the shrimp populations as well. 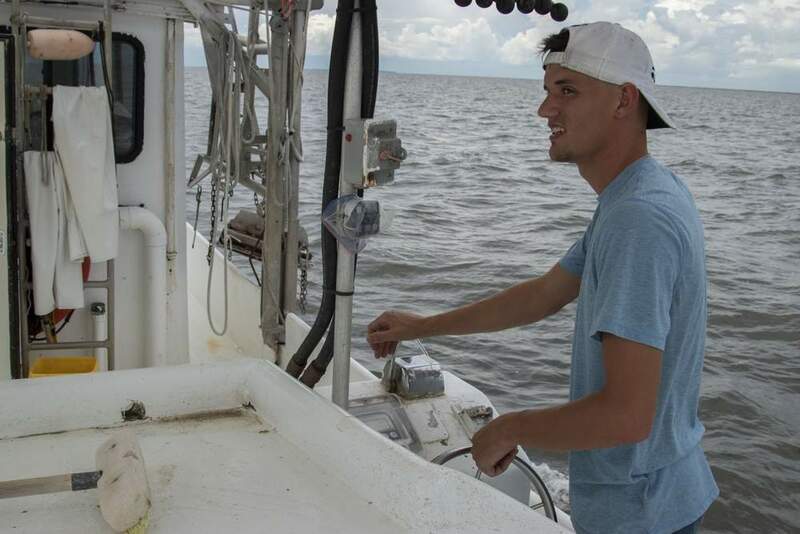 In addition, relying on records from shrimpers to estimate whether shrimp are on the decline is inherently biased—any shrimper will quickly learn to avoid dead-zone areas, where he doesn’t catch anything. And some scientists suggest that the "herding effect" of the dead zone may in fact help shrimpers. "There are some areas, like the edges of the dead zone, where you might actually have a larger catch because of that herding effect," notes Boesch. Though it’s hard to find quantitative evidence that shows the destruction caused by the dead zone, most experts agree that such an area isn’t good for the long-term health of the oceans. So scientists are focusing their efforts on figuring out how to bring the dead zone back to life. That focus, over the past decade, was largely on monitoring and minimizing the nitrogen that runs into the Mississippi from fertilizer. Spread on fields, synthetic nitrogen fertilizers spur crop growth. But when they wash off the fields into water, fertilizers help algae bloom. The 2000 report identified fertilizer, and specifically nitrogen, as the primary cause of the Gulf dead zone. But there’s another nutrient that algae require: phosphorus. Only within the past few years, scientists say, has it become clear that phosphorus should be included in efforts to reduce nutrient runoff into the Mississippi. Don Scavia of the University of Michigan in Ann Arbor recently created a model to study the interplay between phosphorus and nitrogen in the dead zone. His simulation, published Dec. 1 in Environmental Science & Technology, showed that a dead zone can switch from being limited in size by how much nitrogen flows into it to being limited by its phosphorus content. He hypothesizes that such a switch is happening right now in the Gulf. "Over the past 30 to 40 years," he says, "we’ve added so much nitrogen to the system that there’s plenty of it around, and phosphorus is becoming limiting." This doesn’t mean that all efforts to monitor and control the dead zone should switch to phosphorus, he says, but that policy makers need to take both nitrogen and phosphorus into account. In many cases, the steps to control the nutrients are the same. 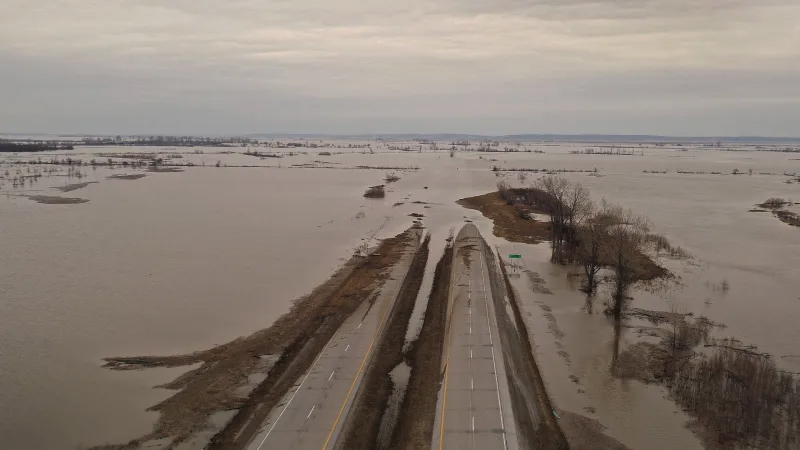 About 75 percent of nitrogen and around 60 percent of phosphorus in the runoff comes from fertilizer, with the rest leaking into the rivers from urban sources. Scavia says that controlling phosphorus alone probably would not alleviate the dead zone, and might even make it worse. Reducing phosphorus, he says, would clear up algal blooms close to the shore. This would allow nitrogen-laden water to flow farther out into the Gulf, where phosphorus exists naturally. 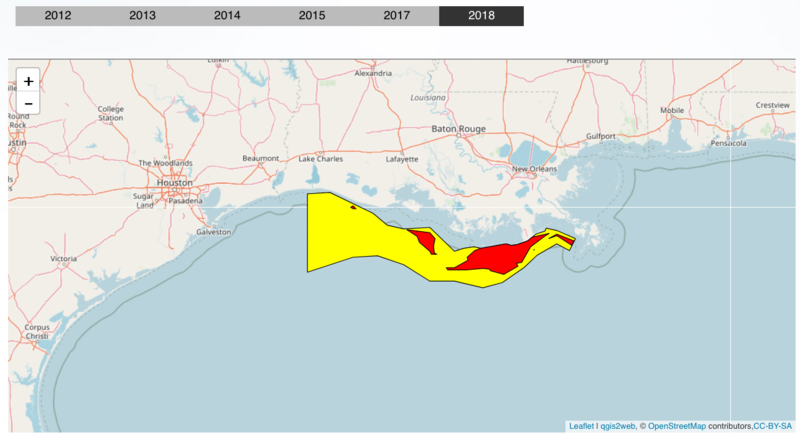 Here, the vastness of the Gulf and the mixture of nitrogen and phosphorus would allow for an even larger dead zone than the coastal area permits. "This has actually happened in the Neuse River in North Carolina and in the Pearl River in Hong Kong, where they controlled phosphorus and it made the problem move downstream and become worse," says Scavia. While controlling only phosphorus would worsen the problem, controlling only nitrogen would be equally detrimental to the dead zone. Phosphorus, it turns out, is harder to get rid of than nitrogen once it’s in the ocean. When algae and other phytoplankton die, their phosphorus- and nitrogen-rich corpses sink to the bottom of the ocean. Much of the nitrogen is removed from the water by microbes that convert nitrogen compounds, like nitrate and nitrite, into nitrogen gas which makes its way up through the water and into the atmosphere. Phosphorus, however, accumulates in the sediments and water column, feeding future algae growth. This means that high levels of phosphorus can lead to problems that remain long after phosphorus and nitrogen runoff is controlled. This struggle is playing out in the Baltic Sea right now, in an out-of-control dead zone. "You’ve gotten into a vicious cycle," Boesch says. "The system there is so overloaded with phosphorus that there are tens of years of phosphorus available." In addition to now being fingered for limiting the dead zone in the Gulf of Mexico, phosphorus has long been described as the limiting factor in freshwater systems, such as the Mississippi River itself. In rivers, cyanobacteria that get energy through photosynthesis, like plants, thrive. These bacteria process nitrogen from the atmosphere into the kind of nitrogen that feeds algal growth. Limiting phosphorus in these situations will improve not only the dead zone but the health of the Mississippi and the rivers that empty into it. Most researchers agree that reducing both nitrogen and phosphorus is what needs to happen to shrink the dead zone. "A lot of the management steps you would take to go after nitrogen would help with phosphorus too," points out Robert Howarth of Cornell University. 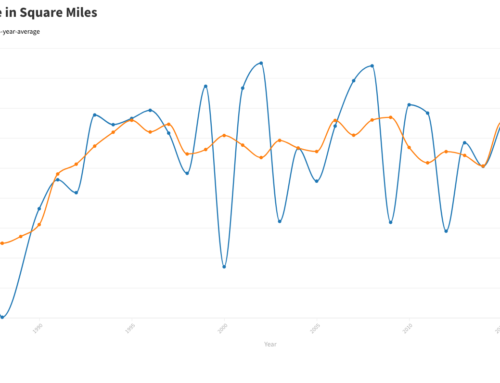 "It’s not like it’s twice as much work to go after both." These management steps include limiting fertilizer use on fields and requiring buffer zones and wetlands between agricultural fields and rivers, to catch nutrients. These steps have been suggested before, in the 2000 dead-zone assessment, but policy makers have not yet provided the money needed to put them into practice. In a recent book, Scavia and colleagues reported on recently surveyed Iowa farmers who were asked whether they’d be willing to implement such changes. "They would be happy, in fact they would prefer, to have a more diverse landscape with wetlands and conservation buffers," he says. "They would do that if the government would pay them to do that rather than pay them to grow corn. As long as money is coming through." But right now, the most money comes from growing corn. Scientists worry that a recent increase in corn production to support the ethanol industry will soon be reflected in the size of the dead zone. Corn, says Scavia, is grown in soil with tile drains. More nitrogen seeps into the river from cornfields than from fields growing other crops. "Corn is really the leaky crop that causes most of the nitrogen problems in the Gulf," Scavia says. And this year, farmers grew 14 million more acres of corn than ever before. 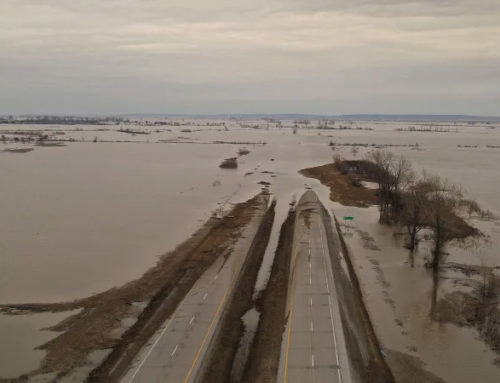 A report on the impact of biofuel production on U.S. water quality issued by the National Research Council raises concerns that this increase will lead to more nitrogen flowing down the Mississippi as well as to numerous other water-quality problems. In an upcoming paper, Howarth and colleagues estimate that the conversion of soybean fields to cornfields to support the biofuel industry will mean an extra 117 million kilograms of nitrogen entering rivers across the country. Many of these rivers flow into the Mississippi. This 37 percent increase in nitrogen runoff, scientists hypothesize, will lead to an increase in the size of the Gulf’s dead zone. Howarth says action to reduce nitrogen and phosphorus pollution must be taken now, before the dead zone gets out of control. "It may be," he says, "that once we have the political will to reduce the nutrients in the Gulf of Mexico, it will be harder to backtrack than it would have been to stop the nutrient flow in the first place." With this urgency in mind, environmental lobbyists are pushing—so far, in vain—to get conservation measures into the next farm bill, the U.S. legislation that governs agricultural policy and is rewritten every few years. The next version of the bill, environmental groups hope, could set new guidelines for fertilizer use and allocate money to farmers who set aside land for wetlands and river buffer zones. Boesch, who has followed the dead-zone research for decades, echoes the message of urgency, and says the new draft action plan is disappointingly timid. "They’re kind of backsliding on it rather than being more aggressive about it," he says. "I think we’re not yet serious about making the commitments to deal with the problem." Committee on Environment and Natural Resources. 2000. An Integrated Assessment: Hypoxia in the Northern Gulf of Mexico. Washington, D.C.: National Science and Technology Council. Committee on Water Implications of Biofuels Production in the United States, National Research Council. 2007. Water Implications of Biofuels Production in the United States. Washington, D.C.: National Academies Press. Available at http://books.nap.edu/catalog.php?record_id=12039. Environmental Protection Agency. 2007. Gulf Hypoxia Action Plan 2008. Available at http://www.epa.gov/msbasin/taskforce/pdf/2008draft_actionplan.pdf. O’Connor, T., and D. Whitall. 2007. Linking hypoxia to shrimp catch in the northern Gulf of Mexico. Marine Pollution Bulletin 54(April):460-463. Abstract available at http://dx.doi.org/10.1016/j.marpolbul.2007.01.017. Scavia, D., and K.A. Donnelly. 2007. Reassessing hypoxia forecasts for the Gulf of Mexico. Environmental Science & Technology 41(Dec. 1):8111–8117. Abstract available at http://dx.doi.org/10.1021/es0714235. Rabalais, N.N., R.E. Turner, and D. Scavia. 2002. Beyond science into policy: Gulf of Mexico hypoxia and the Mississippi River. BioScience 52(February):129-. Rabalais, N.N., R.E. Turner, and W.J. Wiseman Jr. 2002. Gulf of Mexico hypoxia A.K.A. "The Dead Zone." Annual Review of Ecology Evolution and Systematics 33(August):235-263. Raloff, J. 2004. Limiting dead zones. 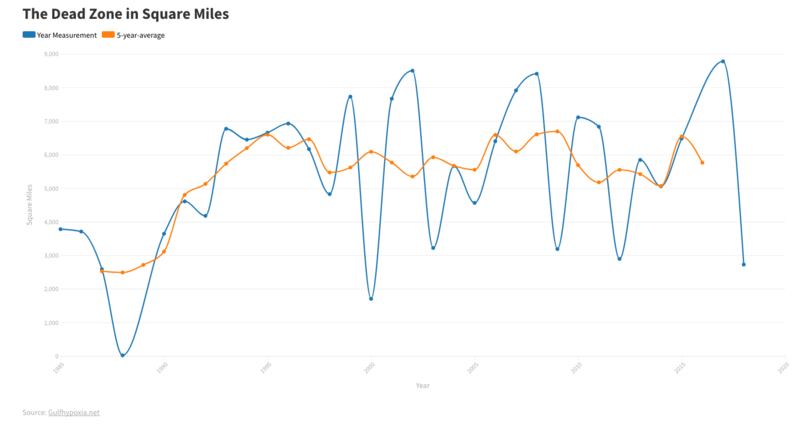 Science News 165(June 12):378-380. Available at http://www.sciencenews.org/articles/20040612/bob9.asp. ______. 2004. Dead waters. Science News 165(June 5):360-362. Available at http://www.sciencenews.org/articles/20040605/bob9.asp. Scavia, D., N.N. Rabalais, et. al. 2003. Predicting the response of Gulf of Mexico hypoxia to variations in Mississippi River nitrogen load. Limnology and Oceanography 48(May):951-956.